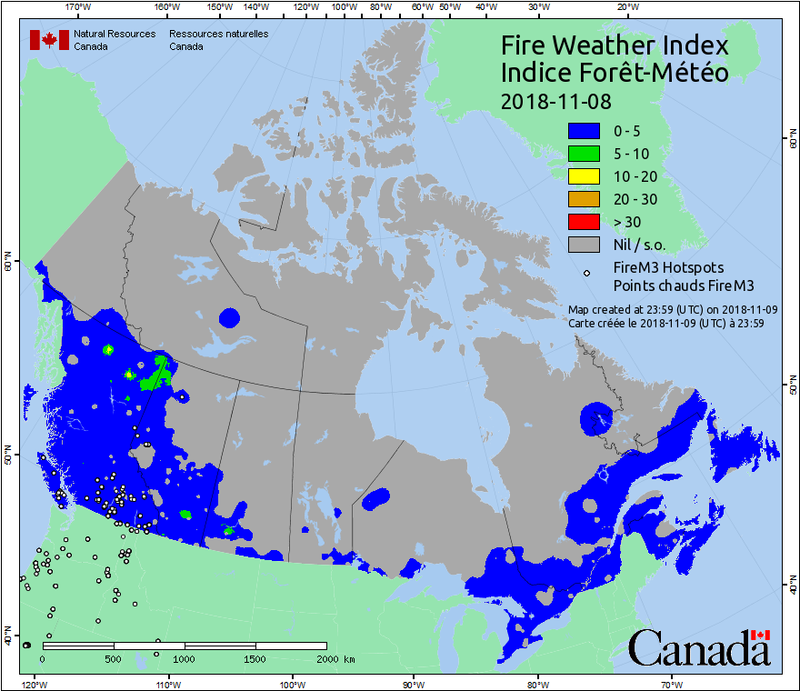 The Fire Weather Index (FWI) is a component of the Canadian Forest Fire Weather Index System. It is a numeric rating of fire intensity. It combines the Initial Spread Index (a numerical rating of the expected rate of fire spread) and the Buildup Index (a numerical rating of the total amount of fuel available for combustion). It is suitable as a general index of fire danger throughout the forested areas of Canada.